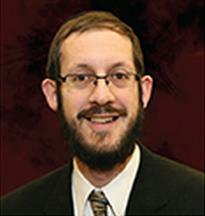 Rabbi Yitzhak Grossman is Rosh Chaburah and Senior Lecturer of the Greater Washington Community Kollel. Rabbi Grossman also lectures throughout the community on a diverse range of Jewish philosophical and halachic topics. Additionally, Rabbi Grossman heads the newly formed Money Matters Choshen Mishpat Kollel, an evening study program for the community that applies the laws of choshen mishpat to various contemporary financial topics. A recognized expert in Jewish financial law, Rabbi Grossman also serves as a dayan (judge) with several halachic courts.He received his ordination from Rav Zalman Nechemia Goldberg.